Apps below can be purchased at anytime in the future. Their absence has no effect on system ability to overlay text, graphic, and communication i.e. parse NMEA-0183, ASCII Sentences, etc. 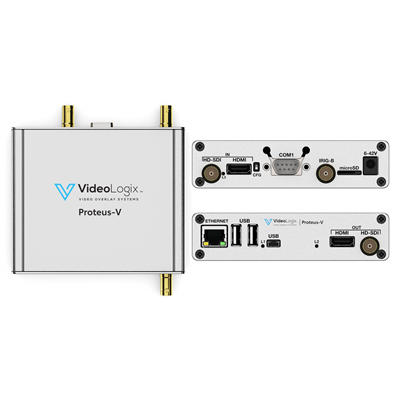 Proteus-V is a high performance stand-alone High-Definition (HD) and Standard-Definition (SD) video overlay system. It overlays crisp, text, graphic and telemetry data on live video.